EVERYTHING CAME UNDAMAGED, AND WAS VERY EASY TO ASSEMBLE. THANK YOU! We bought this frame for a bold, colorful 12 x 18 vertical piece of art. This frame brings the viewer's eye to the art work and enhances the piece. It is equally bold and strong, yet really compliments the piece well. I love the frames. 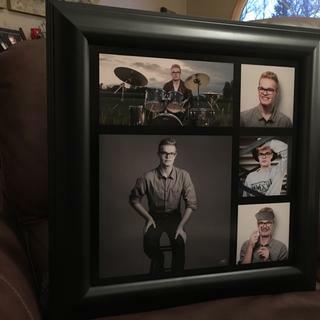 These are so much better than the ones the photographer was selling. The look of the frames, the quality, the construction and the price made this an easy decision. Deciding which frame to buy was the only hard part of this entire experience. 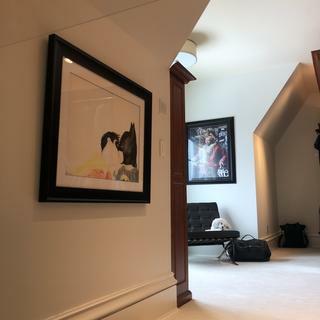 The frame is definitely worth the price, but not if you have to order a large frame and have it shipped. The shipping cost as much as the frame! A really beautiful frame that will support large art and the 5/8 rabbet is perfect for mounting items up to 1/2 in. Hello Michael! Thank you for your feedback. We certainly want you to be overly happy with your order. 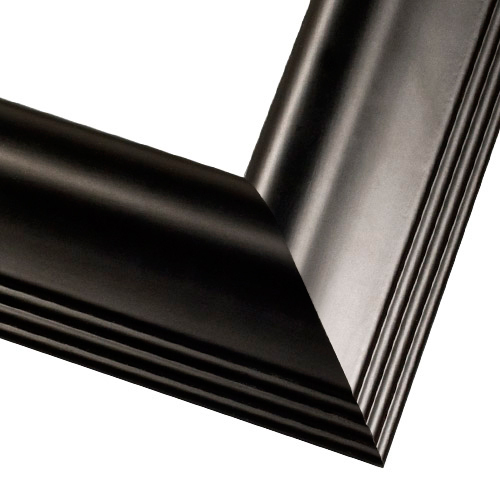 The rabbet/depth of this frame allows the frame to be flexible for a canvas. If you are not happy, you are welcome to return the frame. Also, we find that Acrylic is lighter than glass and also shatter proof. Please let us know if you have any other concerns regarding the order. Happy Framing! it's a beautiful frame but does not take away from the artwork. perfect width for a large print. The style is classic and elegant. It makes me feel like a winner! I want this frame (already bought 2 from you), but now I need two more to accommodate paintings on a 1.5 inch deep canvas. Can you make them for me in 48" by 24"? I need 2 of them. Thank you for your inquiry. This frame has a rabbet of 5/8" meaning that your 1.5" canvas would greatly stick out of the frame. If this is something you are comfortable with go to the product page and put in your artwork size of 48"x24" and change the quantity to two. Hi, it's a beautiful frame and I worked great for my art but I do not think the 5/8 rabbet will work well for a 1.5 in deep canvas.